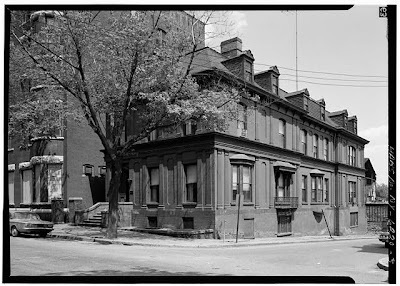 These are photos of Newburgh City Club, also known as the William Culbert House. It was constructed in the mid 1850’s as a residence for Dr. Culbert. A.J. Downing collaborated in building the structure with Calvert Vaux. Downing designed Downing Park in Newburgh and Central Park in Manhattan. 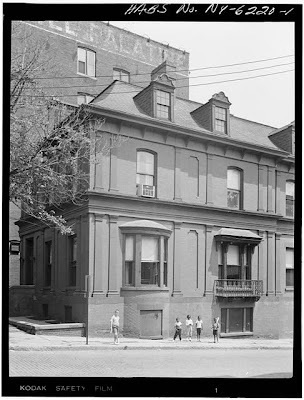 In 1906 the house became the headquarters of the Newburgh City Club, which was a club for the city’s leading businessmen and politicians. 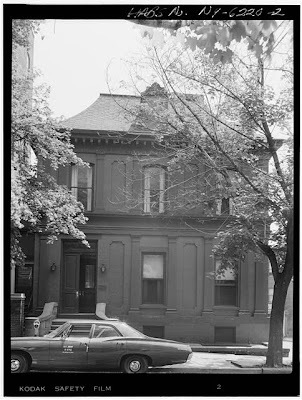 In the 1960’s the second floor of the house was used to house the Supreme Court Library of the 9 Judicial District. 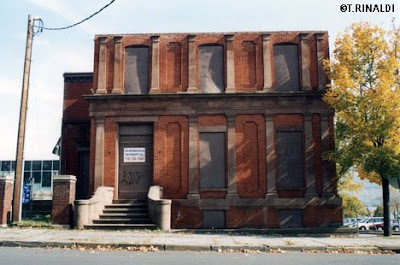 With Newburgh’s decline the building was abandoned in the 1970’s, and saved from the urban renewal project which razed all of the buildings on Water and Front Streets. In the urban renewal project the Palatine Hotel you see to the left was demolished, as well as all the buildings you see to the right down the street heading to the river. 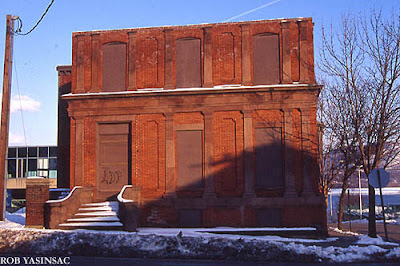 In 1975 the Newburgh City Club was painstakingly restored only to be gutted by a fire in 1981. It has stood as you see it above ever since. And the house was built for $10,000! This part of Downing’s book reveals so much history to this house. How I hope one day that it can be restored! Clearly this house is an extremely huge part of Newburgh history. This information was taken from page page 182 of the book, “Hudson Valley Ruins” which also shows a photo of Newburgh City Club with the Dutch Reformed Church in the background. Another great shot of the before and after of this building on Flickr. The library of congress has some great interior photos of the house. The million dollar question is, who owns this building now?? Are there any proposed plans for the structure? This makes me so sad I can cry!!!! such a beautiful building with such a great history! Can you even imagine any livable structure being built for $10,000?! Those babies were built to last, too. Sad. This building looks like a gem – would love to see what it becomes. wow, what a beautiful building! Those bricked-in windows are the saddest thing ever. I hope someone will restore it to its glory. My mother ran the Newburgh City Club until it closed in 1972. My sisters, grandmother and I, assisted her in the kitchen at times. The building was truly grand and the gentlemen played billiards and cards in those rooms. My mother was awarded the plaque upon her retirement and I believe I still have it.